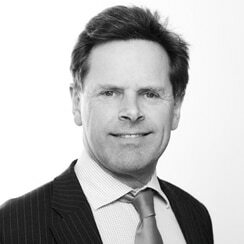 Gavin is a family law barrister at 1 Hare Court in London with over 27 years’ experience. He specialises in all types of financial remedy proceedings following relationship breakdown. Gavin also conducts private FDRs and is an experienced mediator, and in March 2019 was appointed a Deputy District Judge. He is described in Chambers and Partners as “… completely amazing on the detail of a case, and his knowledge of the law is second to none” and “also well regarded for his well-established arbitration practice”. 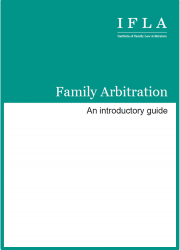 Gavin qualified as a family arbitrator in 2012, at the outset of the IFLA scheme. His arbitrations range from full hearings, at which the parties are represented by counsel, to ‘paper-only’ adjudications made on the basis of written evidence and submissions alone. He has received 16 nominations as arbitrator to date (at March 2019). He was the arbitrator in the three cases involving the IFLA scheme to have been reported thus far. In the landmark case of S v S  EWHC 7 (Fam) the President of the Family Division endorsed the principles of the scheme and gave important guidance on how judges should deal with applications for court consent orders based on arbitration awards. After the arbitration one of the solicitors involved wrote “We agreed upon Gavin Smith as someone whose judgment and technical knowhow would deliver on [the] goals and whose personal skills would make it as benign an experience as possible.” (ResolutionReview, March/April 2014). 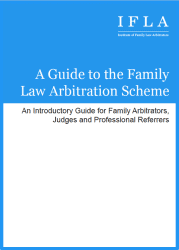 Together with his fellow arbitrators Sir Peter Singer and Rhys Taylor, Gavin founded familyarbitrator.com, which won Jordans ‘Most Innovative Family Lawyer of the Year 2012′ award for its pioneering approach to the cause of family arbitration. Gavin keeps up to date with legal change by co-editing the financial practitioners’ ‘bibles’, At A Glance and @eGlance, and co-authoring the annual Financial Remedies Practice.